Sony's latest DSC RX100 V is a premium compact device capable of shooting 4K videos and has an incredible amount of technology stuffed in. It is capable of shooting far more dynamic range than your smartphone or old cameras. Its kind of the best for challenging lighting environments. The RX100 V is world's first fixed lens compact camera to offer a 1" sensor with phase detection autofocus and 4K recording capability. It is also a point-and-shoot camera and highly upgraded version of its previous IV version. RX100V is an advanced compact camera for capturing high-resolution movies and stills in captivating details. It inherits the RX100 series, renowned 1.0 type image sensor, advances with blazing fast 0.05-second autofocus, 315 AF points for world's superior phase-detection, and continuous shooting up to 24 fps with AF/ AE tracking. 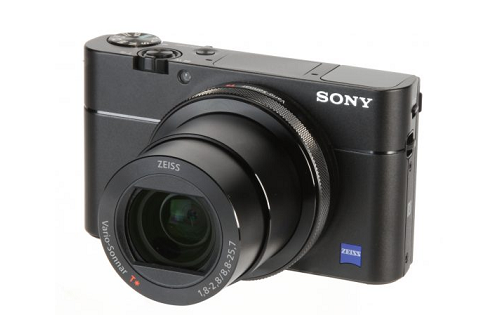 Sony's RX100 V is best in class compact camera for individuals and professionals.